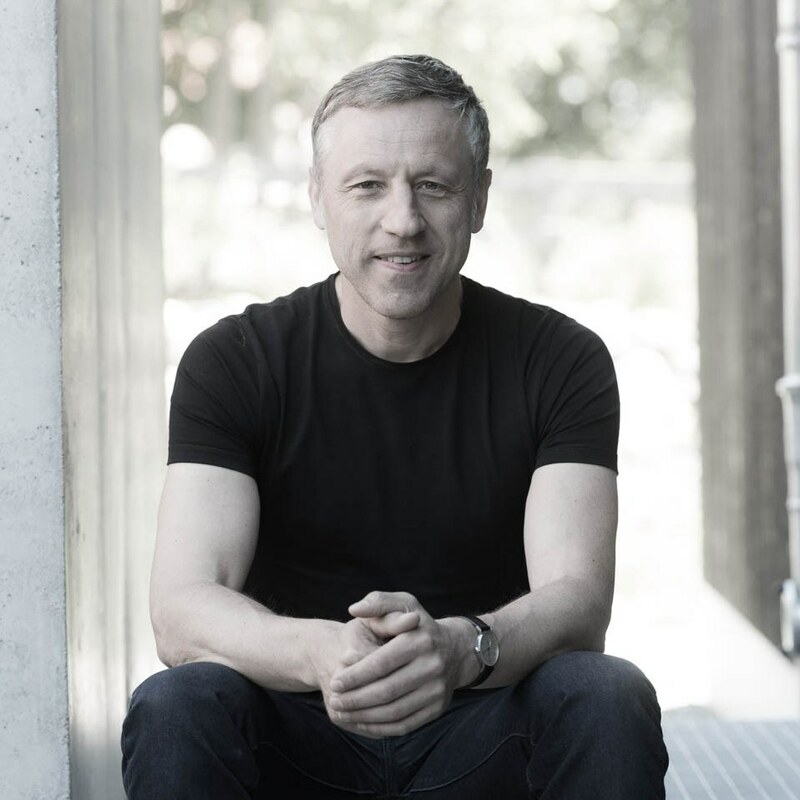 The bathroom is one of the smallest rooms we have at home, however, the importance it has each day in our life does not correspond to its dimensions. When the size of bathroom is especially small, an adequate design and a correct distribution of the space becomes important. Each bathroom of a house has its own dimensions and a square bath can not be planned in the same way as a rectangular bath. 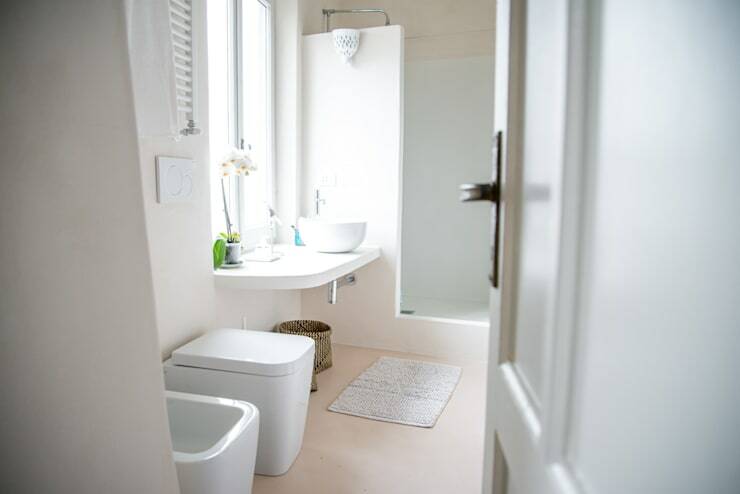 Even two same sized bathrooms have their own constraints in terms of planning owing to door and window location, the column locations and other factors. 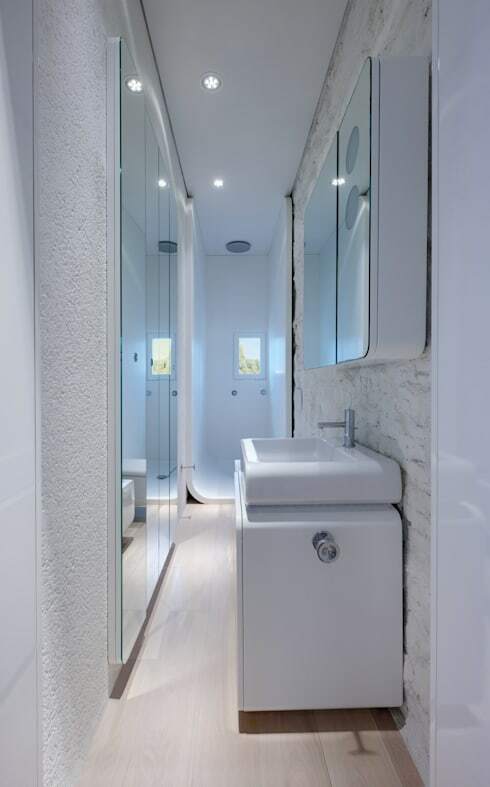 In this ideabook, we focus on narrow rectangular bathrooms, the most commonly found ones in urban apartments. To see how best you can distribute and utilize space in your elongated and narrow bathroom, read on. First things first, when you need to plan any room, you need to first understand and be convinced by the use. If you use a shower, you do not need to waste space in creating a bath. If you use a bidet, you need to plan space for it right near the toilet seat, the wash basin should ideally be the closest thing to the door. Planning these spaces appropriately will give your bathroom an open and organized appearance, and will help you avoid some major blunders like crossing the entire bath for just washing hands in the sink ! 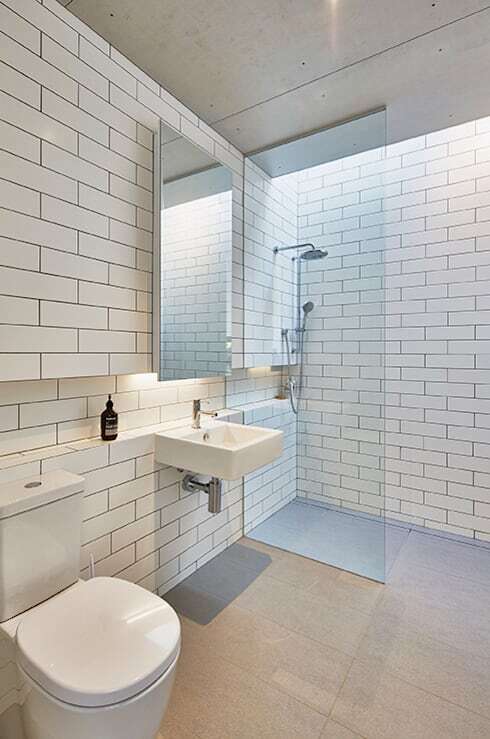 You might like to see these 8 ideas for a stunning small bathroom for some more inspiration. The sanitary fittings have more or less standard dimensions, especially the toilet, the bidet and the bathtub. You have a little more flexibility when it comes to the shower or the sink. A standard toilet measures 60 to 80 cm in depth and at least 40 cm in width. To use these with total comfort, means to add a separation of about 20-25 cm on the sides and about 50 cm ahead, with respect to the walls or other equipment. Hence it is important to consider what devices you will install in the rectangular bath, and to establish your priorities according to our tastes and habits. See how this small bathroom got marvelously revamped. Having a shower saves space, since it occupies less space than a bathtub and is much more versatile in terms of form, being able to find models that suit very different situations or even resort to custom-made showers, or constructed showers. 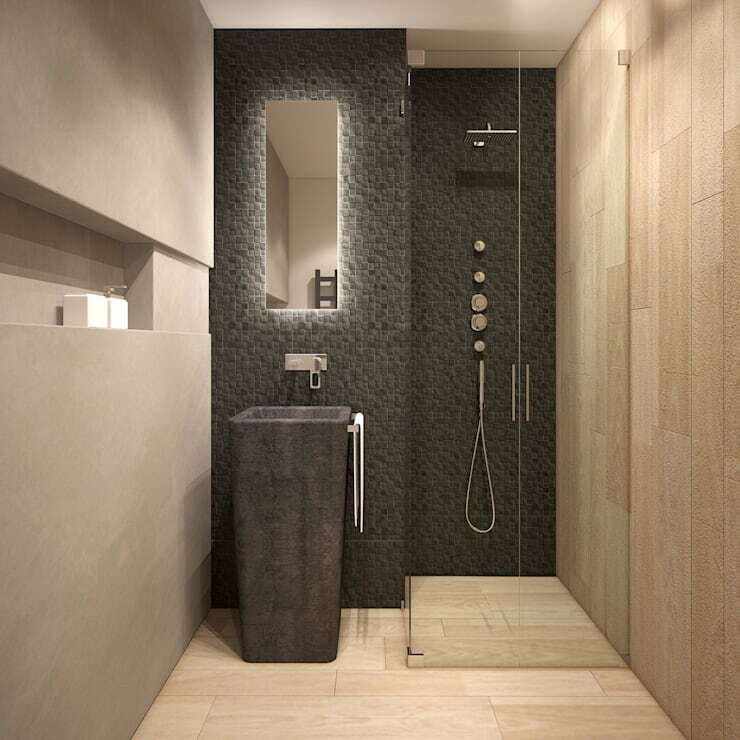 Deciding to go for a shower instead of a bathtub, will be a great space saver and placing it at the back of the bathroom will be a very wise decision when decorating elongated and narrow baths. Here are some easy decor tips for a terrific tiny bathroom. Following the distribution of the appliances, it is also important to take into account the position of the door, as this will determine the way you would use the bathroom. 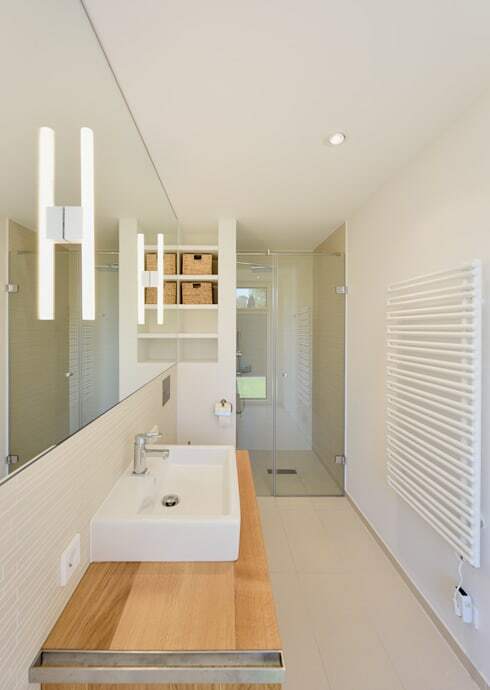 The common practice in a narrow and elongated bathroom is having the door on one of the the shorter sides so that the sweep of the folding door is not an impediment when placing the sanitary equipment. If you have an entrance on the long and centered side, you might be interested in replacing it with a sliding door so that it does not interrupt the movement inside an elongated bath. The most common device arrangement for a long and narrow bathroom that has entrance at one of its ends, and also the most appropriate, is to place them all on the same wall leaving the shower in the background of the bathroom. In this way we will be leaving space for use and circulation in front of the toilet and the sink. The shower can take over the entire width of the bathroom and have a comfortable access to the free wall. When the bathroom is exceptionally small, you can also resort to smaller sanitary appliances. Nowadays, manufacturers have more compact elements, ideal to adapt to your space needs. For example, suspended toilets have less depth than traditional toilets, which will be a great advantage in a narrow bathroom. 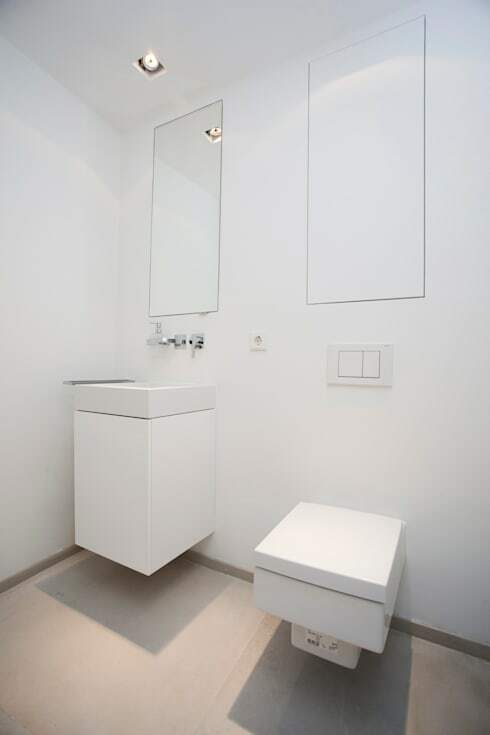 The cisterns of these toilets are concealed, and the fact that they are above the ground, helps you create a more spacious, more luminous and well-used bathroom. Here are some unique bathroom designs that create more space. You can not dismiss any opportunity that comes your way and take advantage of any option to get extra space in a narrow bathroom. A niche or any other space where you can scratch the constructive elements that make up the bathroom will be a good place to display and store the toiletries and other products. You can also use this space for adding some decorative element like small plants. 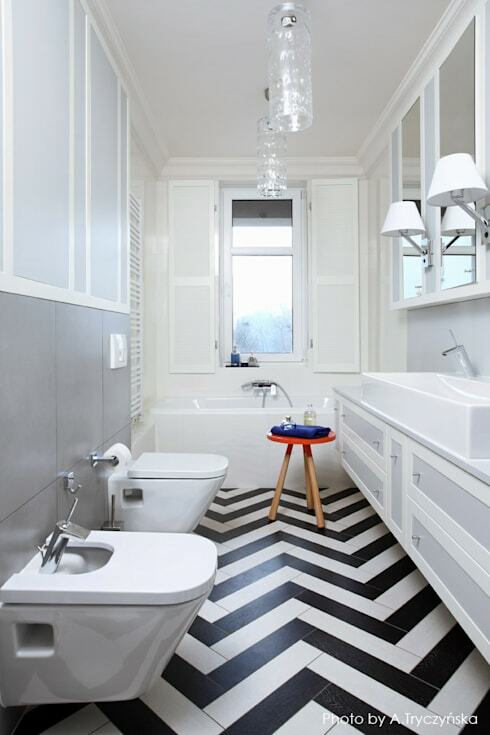 Combining these resources with adequate lighting or the use of light colors on the pavement and walls will make the bathroom look much bigger, look cleaner and work much better.Here are 15 small bathrooms to see before renovating yours. As they say, the best ideas come in the bathrooms, we say best ideas come in the best bathrooms. Feeling inspired?